Businesses are constantly faced with the challenge to find new ways of recruiting potential employees. As the job market expands through remote work opportunities and online job postings, the recruitment process can be difficult to navigate. Head hunters are the answer to these problems. If you are a business owner looking to hire an employee or just interested in learning more about head hunters and other similar forms of recruitment that can help your business, keep reading below. What Is A Head Hunter? A head hunter is a person or agency that has been outsourced by a company to fill a particular role in the business. 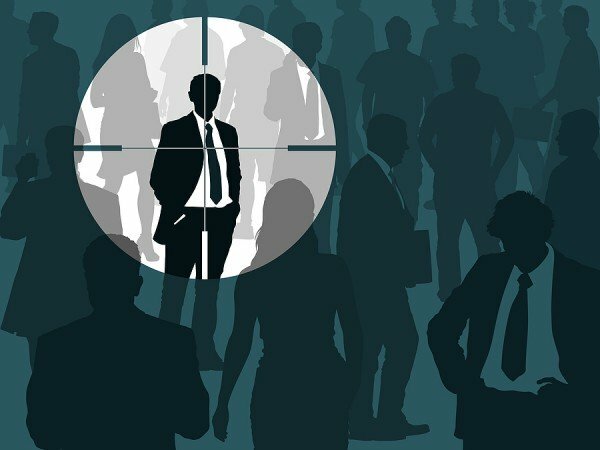 The head hunter’s job is to recruit and screen candidates before coming up with a “short-list” of potential employees. The company will then take these names into consideration and, once one of their recommendations has been hired, the head hunter will receive payment for their services. Unfortunately they will not help you learn how to retain employees, however. This is important to remember. Like many recruitment methods, head hunters have their benefits and specialties. Head hunters, specifically, are often used for executive or highly selective positions. They are able to spot certain leadership characteristics in candidates that are required for executive positions. Corporate jobs that require extensive experience are just some of the positions for which head hunters may be the most useful. Their primary focus is on the skill level of the potential candidates. If you need to hire someone to fill an executive or specialized position, you may want to consider utilizing a head hunter. If you plan on using the services of a headhunter, there is one thing you should do to prepare. Your resume should be as neat, concise and avoid obvious resume jargon like “team player.” Headhunters do not have time to comb through every resume they get. They typically just shoot each resume a quick glance when they get word of a job opening. Make sure your accomplishments stand out with just a quick glance over your resume. This is an important part of using headhunter services. Unlike head hunters, recruiters often work in-house for one agency rather than being outsourced by multiple companies. While a head hunter meets with candidates as a third-party, recruiters often act as representatives for the company that is hiring. Their focus is more heavily on selling the open position to each candidate and presenting the hiring company in a positive light. If you want to introduce potential employees to your business and the positions you have to offer, then hiring a recruiter may be a good choice for your business. What Is A Hiring Manager? A hiring manager wears many hats in an organization. Often, they are not full-time recruitment specialists. Instead, they also take part in other functions of the company such as financial decisions, internal affairs, supervision of new employees and employee retention. Unlike a head hunter or recruiter, hiring managers are much more than a liaison for the company. They are employees, too. These individuals often play a larger role in the hiring and onboarding process than they do in the recruitment process. There are plenty of options out there for employers who want to find solid candidates to fill positions in their company. The choice between head hunter, recruiter or hiring manager is entirely up to you and what fits best for your organization. In order to choose the best route, consider how you want your company represented and how big of a role you would like to play in the actual recruitment process. Head hunters will see the job through to completion without you having to do much more than make a decision, while recruiters and hiring managers may require more input. Decide which is right for your organization to foster the best team collaboration environment possible. Head hunters are the perfect way to find candidates for high salary, skill-based jobs. However, if you are looking to fill more general positions, there are other business consulting options available to you as well. Refer back to this post the next time you are looking to refresh your recruitment process.